IT is in a constant state of transformation. Established technologies and concepts will be completely overhauled and replaced within just a few a years. Technology providers may fall victim to economic crises, or abandon product development for other reasons. In light of this, it is difficult to hold on to information that will be still useful after than a decade. 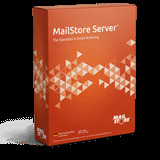 As a result, MailStore Server does not restrict businesses to a proprietary file format. All archived email can be exported in a single step at any time in the standard RFC 822 format, for example, which has established itself over 30 years. Thus, it is not just the legal security of a business that is guaranteed, but also their long-term technological independence, even from MailStore Server itself. Alternatively, users can always restore emails from the archive back into their regular mailbox with a single click of the mouse. With MailStore Server the administrator no longer has to go through the time-consuming process of recovering lost emails from the backup.